Secure online referral (e-referral) available to GPs. What our patients are saying about us……. 93% of patients currently rate overall care as “Excellent”. 3T MRI, Ireland’s Most Advanced MRI Scanner – Now Arrived! 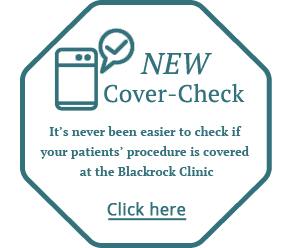 Blackrock Clinic, Centre of Excellence. Please call Freephone 1800 60 10 60 for consultation enquiries! Your Career, Your Next Step, Your Relocation Package ………..
Open 8am – 6pm Monday to Friday & 10am – 5pm Saturday, Sunday & Bank Holiday Monday. 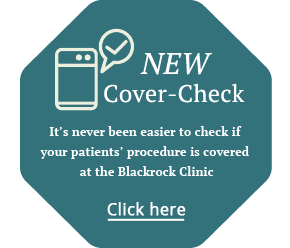 Blackrock Clinic performs a wide range of medical, surgical and dental procedures at its private healthcare facility in Dublin. Our vision is to excel in clinical and personal care and to deliver the highest standards of patient care. Our consultant directory allows you to locate a medical consultant by either name or speciality practising at the clinic.